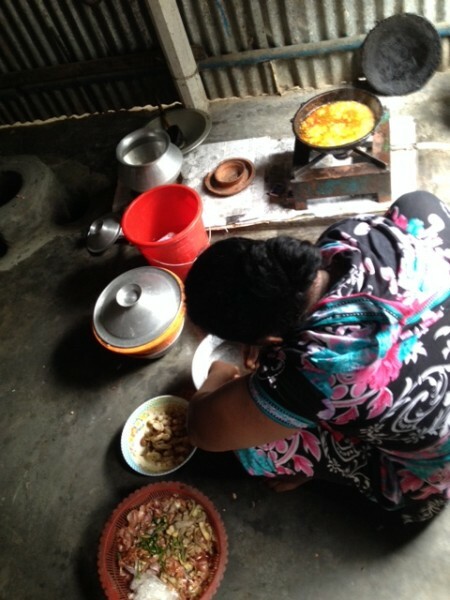 A woman cooking with an efficient methane stove. 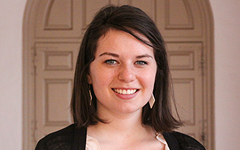 The last two weeks of my internship were eye-opening. We visited with Grameen affiliates – companies or non-profits that set out to help the poor in different ways. Grameen Shakkti, for example, has installed two million solar panels in rural homes: more than any other organization in Bangladesh. They have also installed thousands of biogas systems. Homeowners put cow manure in the machine, where methane is processed out, and connects to a gas stove to heat food. The leftover manure is used as organic fertilizer. Bangladesh has arsenic in the ground water, so another organization, Grameen Veolia, takes surface water from rivers and filters it for clean drinking water. 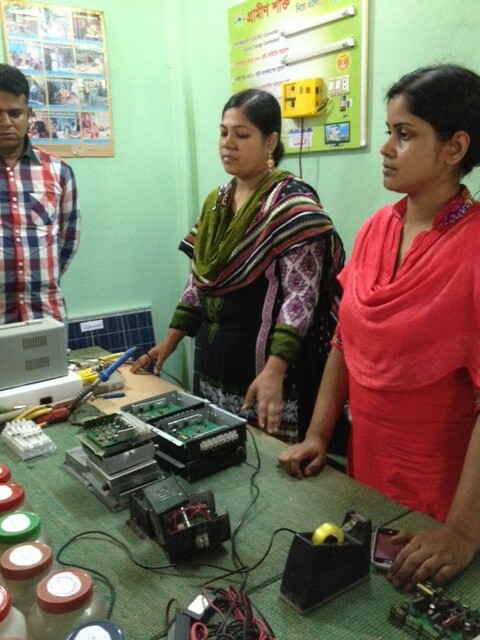 We met with Grameen schools that teach technical skills like fixing computer hardware, designing mobile phones, and working on factory machinery. These students are then placed in jobs with local companies. We also visited a Grameen factory that offers fair wages and safe working environments to employees. It was fascinating to walk through the whole garment producing process: from making the cloth, to dyeing it, to sewing it into garments, to attaching tags and packaging the clothes. It was six floors worth of huge machinery, beautiful colors, and thousands of workers. I met with the head of Grameen Trust – an organization that expands Grameen-like offices outside of Bangladesh. There’s a Grameen USA that has done wonderful things in New York, and come to find out, they have a branch in my hometown of Austin, Texas. I’m hoping to shadow the office in Austin when I get home. The information about the Grameen Trust was interesting, but even more interesting was talking with the presenter, who was incredibly articulate and insightful. I asked him about how he sees Bangladesh in 20 years, and he said Dhaka will be the largest metropolitan area in the world at the rate it’s growing now. He says that there are Grameen Bank borrowers who are currently billionaires, and they don’t even know it. He said it’s not because the Grameen Bank has improved their condition, but because the ancestral lands that they own will soon be bought for development. As I drive through the countryside, I often see rice patties with huge billboards in the middle. 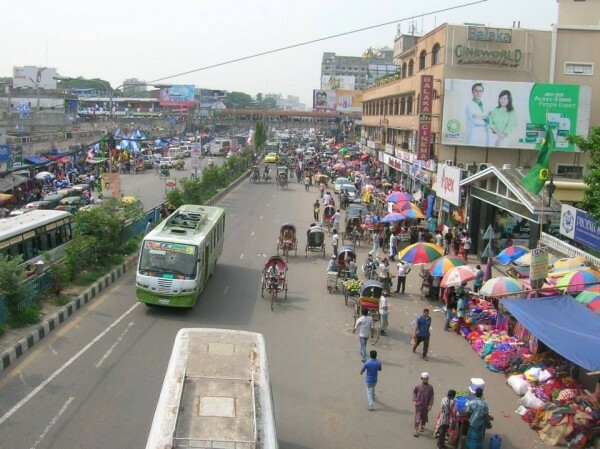 A Bengali friend said that companies have already started buying up the land around Dhaka now, so that they can develop it in 20 years when the population is 5 times the size it is now. Essentially, the city of Dhaka is about to explode in population. Since Bangladesh is such a breadbasket, I asked what the country expects to do about food if all the fertile fields are concrete jungles. He told me that that’s what my country is for: it will be necessary to turn the American midwestern plains into an intense agricultural superpower. Since the US is such a service economy, I’m not sure if I see that happening. Still, it’s an interesting thought – humans are going to have to find some new ways to sustain ourselves eventually. I’m glad to have witnessed Dhaka right before it booms even bigger. 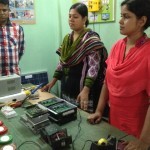 Women learning technical skills to fix village electronics. A factory worker cutting thick layers of fabric with a blade. One of the greatest joys I’ve found on this trip is interacting with children. They don’t understand the politics of race and they haven’t yet been taught to shy away from foreigners. They let their curiosity outrun their fear. 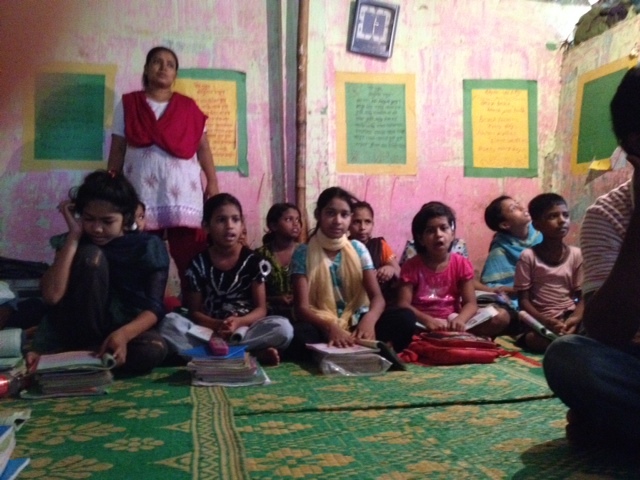 This week we visited a slum school during the class time for 8 year olds. 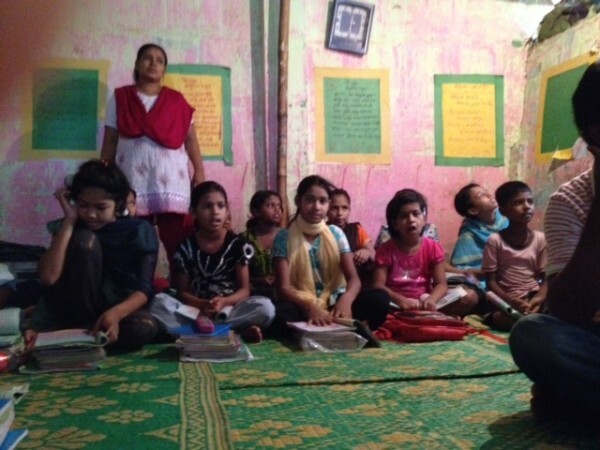 The Bangladeshi government doesn’t provide schooling for Pakistani nationals, and the parents of the children don’t want them to go to school anyway because the kids are needed to help bring an income to the family. Grameen has established schools in these underserved areas. The kids go to school for 3 hours a day, which leaves time for them to also help out their parents at night. Most of the students are in the embroidering or tailoring business. The teacher said the biggest problem she has is that the kids stay up until midnight working, so they are often too tired for school in the morning. But they were incredibly energetic and and excited when we visited! We sat with them for an hour and learned about their favorite subjects. Turns out they LOVE to sing, so they performed a song and dance for us, then wanted us to perform one for them. My intern group is from 5 different countries, but we finally decided we all knew “Twinkle Twinkle Little Star”. As we started singing, the kids got really excited and started singing along – they knew the song too! There are quite a few things that disturb me about Bangladesh: the blatant inequality between rich and poor, the way men spit in public, and the fact that trash cans are non-existent – trash is thrown into heaps on the street to be burned or eaten by goats. But nothing bothers me more than the way women are treated, the effects of which I feel every time I leave my room. Knowing this is an Islamic country, I tried to prepare myself beforehand for the changes I would have to make in my appearance and behavior. I can deal with wearing long sleeves, pants, and a scarf in 100+ degrees. I can even deal with the catcalls and harassment in the streets. But I never thought that I would have to accept being discriminated against at work in an office that routinely deals with foreigners, who are mostly women. It wasn’t too bad at first – my supervisor once singled me out and told me to start wearing a headscarf, even though no other women in the office did. But this past week, we met a new intern supervisor. My group of interns is 5 women and 1 man, and the new supervisor only acknowledged the presence of the man. He introduced himself, shook his hand, and they talked for a few minutes, completely ignoring the presence of the 5 women at the table. At the end of their conversation, he looked around at us women and said, “I think it’s best if Siddharth is your new team leader.” At first I thought it was just a fluke, but every time we’ve interacted with him all week he has only talked to Siddharth and the women became invisible. Perhaps he is uber conservative, but if so he probably shouldn’t be in the position as supervisor of girl interns, or work at an organization that promotes female empowerment. As an outspoken woman, I’m rather frustrated. 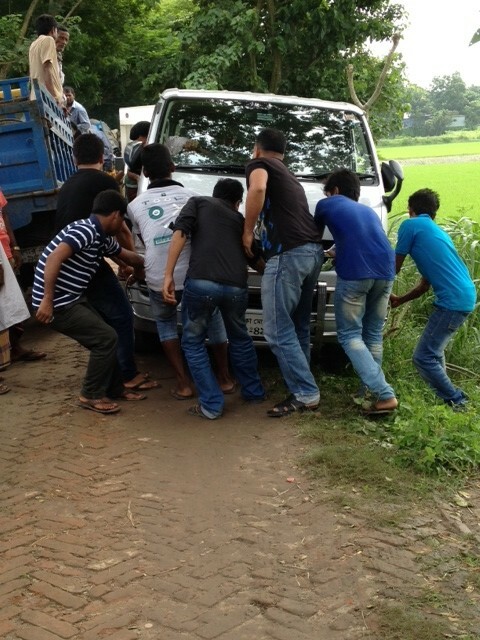 Villagers pulling our van out of the mud before it tumbles down into rice patties. 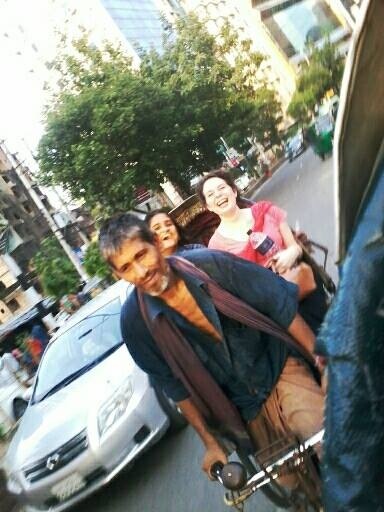 Taking a terrifying rickshaw ride. Still, I feel like everyday I learn something new. When I’m outside, about 90% of the people I see are men. For the longest time, I thought the women were all just inside their homes doing housework. Then one day I was leaving the city very early in the morning for a day trip when I saw floods of women all walking in one direction. I found out that the reason I never see women is because they go to work very early in the factories, and don’t leave until very late at night. I often see grown men here wearing shirts with rhinestones and kittens and kisses on them, or with strange phrases like “I’m a ninja on FaceBook”. These shirts are often the defects from the factory, but it always makes me laugh that they probably don’t realize what the words mean. The other day, I was trying to explain “vegan” to a Bengali friend. She thought it was strange, and asked me what village vegans are from. I told her that it’s all over the Western world, not just one place. She then asked me what religion vegans are. I got quite a kick out of it! The language barrier can be frustrating, but people are always in good spirits and laugh through the complications. When you can’t speak the language, the only way to communicate is to laugh! The drainage and sewage systems here run under sidewalks. It creates quite a nasty smell, but even worse is that there are many holes in the sidewalk where you can see it rushing below you. There are a few places on my walk to work where I have to jump over a river of sewage rushing below my feet. I’m always terrified of the sidewalk breaking under me and falling in. Men take it upon themselves to use these sidewalk holes to go to the bathroom in. They will just squat and go, always staring at me creepily. I’m consistently tempted to “accidentally” bump into them and make them fall in the sewage. Flash drives are apparently the most useful and important technology here. Instead of emailing, people keep asking me for my flash drive to transfer files. A group of locals in my hotel were fascinated by my iPad, but when they found out that it doesn’t have a USB port, it was like my iPad was suddenly a completely useless device. 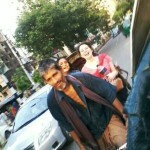 I’ve been spending weekends in the nice part of Dhaka, because living in the slums can take its toll on your sanity. (Last weekend, 10 people got killed a few blocks from my hotel, and I wasn’t allowed to leave all day!) A friend of a friend recently opened up a street stand that makes American burgers, so I went to his opening night party. Most of the patrons were Bengalis who went to school in the United States, so for the first time I was able to hang out with locals and not feel threatened or get stared at. The atmosphere was young and modern, and for the first time I really appreciated the beauty of the city. I finally saw it not just as a place of poverty but a place that many people love to call home. Many of the students wanted to come back to Dhaka after graduation to start social businesses and help their neighbors. They were passionate about doing good for the world. As the trip comes to an end and I reflect on my experience in Bangladesh, I realize that the people I’ve met have been the best part of the trip. There’s a certain kind of person who is willing to travel to Bangladesh to solve world poverty, so it’s been amazing finding people who have the same type of goals as me and who I can look to as role models. I’m surrounded by people who think out of the box and are looking to make change happen. They’ve started their own non-profits, have made networks of young change-makers, and have established Social Entrepreneurship programs in their schools. Their mindset is global, and they are always looking to empower. They have given me inspiration, challenged my beliefs, and taught me about their diverse cultures. I feel like I now have a network of people to exchange ideas with and to encourage me to serve the world. Fortunately, I don’t think the blessings from this trip will end in the airport. In addition to visiting the Austin branch of Grameen USA, I hope to spread awareness about social businesses on campus, and perhaps even gather a group to start our own student-run social business. I’m returning to the States inspired, exhausted, and with an even bigger itch to see the world. This is an experience that I will carry with me for the rest of my life! View of a roadside market.